Now that your session is over, it’s time to decide where you are going to put your photos and what will look best in your home. Choosing the best way to display photos in your home doesn’t have to be stressful at all! This is the exact reason why I do my gallery viewing/ordering sessions in the convenience of my client’s homes. This gives us a chance to review your exact walls, hold up samples to see exactly what sizes would look best on your wall. It never fails, my clients think they just need a few 8×10’s for the wall. But….when they see what the amazing 20×30 size looks like or the collection of large portraits to create a wall display, they can’t resist having that gorgeous statement piece of their family and children displayed every day for them to gaze at. For me personally, I’m a very visual person. I have to see it to know if I’m going to like it. I’m not one that can just visualize in my head what things will look like. So if you’re like me, as we’re creating your wall display we can do something like below. These are samples that we can create of your images to show you just what each picture will look like in a frame on wall. This is so awesome and takes so much of the guess work out of things! Now you know for sure you will love what your portraits look like on the wall! Let me help you design just the right wall gallery to showcase your amazing portraits! Canvases – I offer beautiful, premium built canvases stretched over wood to make it stand out more for a bold look. These are free-floating and do not require a frame. Framed on Wall – Dress your photos up with stylish frames to match your home décor. I offer a variety of print sizes for you to choose from. Whether you’re looking for that large statement piece or different sizes to create a wall display, I’m here to help you determine what looks best. Framed on Shelves, Desks, Tables – If you are renting or don’t want to put holes in your walls from prints or canvases, you can also frame your prints and place them on shelves, desks, or tables around your home. All of my prints come mounted for you to easily display on an easel as well for a fresh new look! Photo Boxes – Customized photo boxes are totally in! These are very popular amongst my clients. This is a great way to display your photos, and you can keep more prints inside or use them as a keepsake box to house your precious memories. Albums/Coffee Table Books – If you just can’t pick out a few photos to display in your home and you need more space, you can always get a beautiful linen or leather album and place it on your coffee table or bookshelf. Pull it out and look through it to remember how fun your session was, and how much your family loves each other. Mini Accordion Books – These come in a set of 3 and are the modern ‘brag book’ from your session. These are a great way to get approximately 9-11 images from your session all in one beautiful book to keep for yourself or give as a gift. They are printed on the finest linen paper and are absolutely adorable! Make sure to message me to setup your unique session with Amanda Oakes Photography! 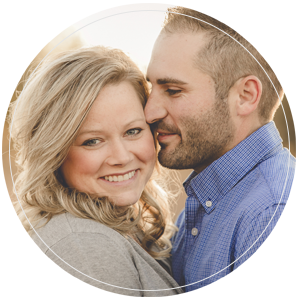 Amanda Oakes Photography is a custom portrait photographer in the Quad Cities that specializes in family and children photography, engagement and wedding photography, maternity and newborn photography as well as high school senior portraits. This includes photography services in the Moline, IL, Rock Island, IL, Davenport, IA, Bettendorf, IA, Muscatine, IA and the greater Quad Cities area.